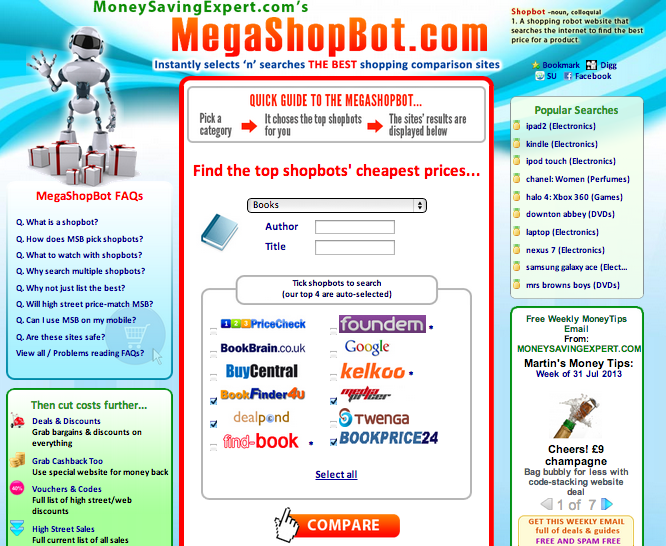 MegaShopBot is a clever shopping comparison website that auto-searches the best Shopbots (shopping comparison websites that harness the internet to find the cheapest prices for goods online) for each type of product with just one click. MegaShopBot is easy to use and is ideal for those who like to track the cheapest online deals. MegaShopBot is for those who know what they want but don’t have time to look for all the best prices. While it can be super handy to see all the price comparisons in front of you, just be aware that some aren’t always as they seem. So, do a little digging before you buy, and you could save heaps!